The Myall Creek massacre of June 1838 led to the death of 28 Aboriginal men, women and children and to the trial of 11 of their white assailants. Seven were found guilty and were executed in December 1838. The first academic study of this outrage was undertaken by Brian W. Harrison at the University of New England in 1966: ‘The Myall Creek massacre and its significance in the controversy over the Aborigines during Australia’s early squatting period’. This was a thesis submitted in part requirement for the Degree of Bachelor of Arts with Honours, with Professor Russel Ward as supervisor. The thesis itself was not published, but an abbreviated version was published in Records of Time Past: Ethnohistorical Essays on the Culture and Ecology of the New England Tribes, edited by Isabel McBryde (Canberra: Australian Institute of Aboriginal Studies, 1978). Harrison’s thesis has a detailed bibliography and interestingly the author also included reference to one work that he was unable to retrieve but had assumed (correctly) was relevant to his study: Australia: a Full and Particular Report of the Trial of Eleven Men for the Most Horrible and Cold-blooded Murder and Afterwards Burning! of Twenty-eight Individuals, Men, Women and Children, Glasgow: Printed for the publisher by G. Brookman, 1839 (16 pages). While this pamphlet was not available to Brian Harrison at the time of his research, it is now available online. 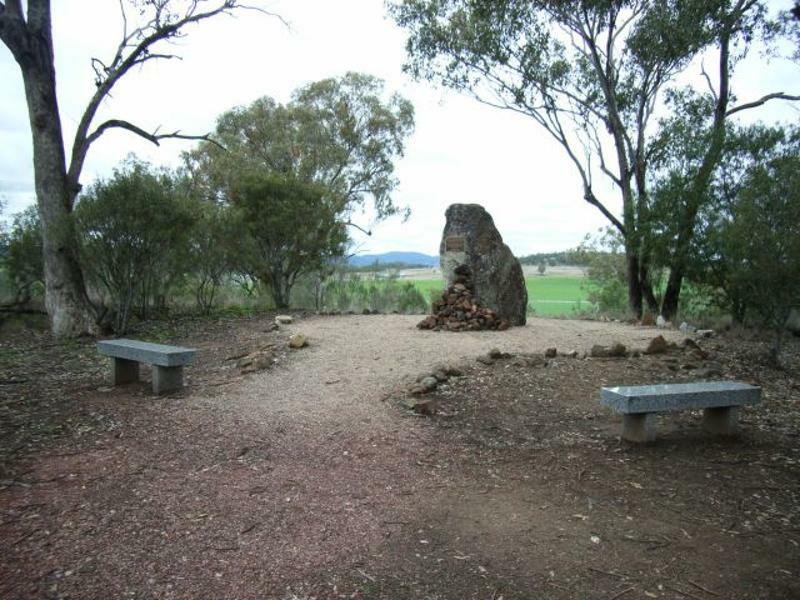 The Honest History site also contains some material relevant to Myall Creek: a 2014 talk by Timothy Bottoms; a photograph of the massacre and memorial site; inclusion in the National Library of Australia’s original ‘100 defining moments’ list; links to relevant material plus a Pro Hart painting. This is one of a series contributed by John Myrtle (myrtle@webone.com.au) from his database of material relating to 1900 to the early 1970s.